Junior Achievement is the world’s oldest and largest non-profit economic education organisation operating in 112 countries worldwide and is dedicated to building a bridge between the classroom and the workplace by encouraging young people to participate in a range of educational programmes designed to help them understand the world of work. 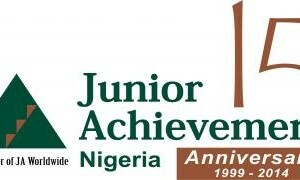 JA started operations in Nigeria in the last quarter of 1999, and since then has reached over 400,000 students in over six hundred and fifty schools in Lagos, Sagamu, Ota, Abeokuta, Ibadan, Ilorin, Abuja, Jos, Kano, Kaduna, Bauchi, Port Harcourt, Warri, Uyo, Calabar and Enugu through over 1000 volunteers and teachers. JA Nigeria is seeking to reach 1,000,000 young people in Nigeria by the end of year 2020. FirstBank has a mutually beneficial partnership with JA Nigeria to demonstrate its commitment to the growth and empowerment of young Nigerians, which is a major focus area of the Bank’s Corporate Social Responsibility (CSR). Alongside KAKAWA Discount House, Accenture Nigeria, Citibank Nigeria Limited, ExxonMobil Nig. Ltd, Deloitte, Schlumberger Oilfield Services, Dangote Group, Oracle Nigeria, Agile, HOD Consulting and Chevron Nigeria, FirstBank serves on the Board of Directors of JA Nigeria and also chairs the Marketing and Communications Committee. FirstBank also partners with JA Nigeria through First Bank’s Future First Financial LiteracyProgram which is aimed at empowering secondary school students between the ages of 13 and 17years old in JSS 3 to SS2 to build fulfilling careers and be better equipped with the tools and knowledge for long-term financial independence. FirstBank drives the Financial Literacy Program through a structured employee volunteering program where employees offer their time and employ their skills in providing career counseling and financial literacy to secondary school students.